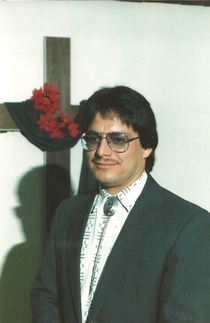 Benjamin Andres Maestas, 62, of Salida, passed away at his residence on Tuesday May 22, 2018. Ben was a beloved companion, son, brother, uncle, and great-uncle. He enjoyed cooking and being surrounded by friends & family. Ben will be greatly missed by his family and friends. He is survived by his companion, Parla Goehl; mother, Josephine Maycock; his brothers, Isaac Maestas and Manuel Maestas (wife Rose Mary); sister Devia Armendariz (husband Pedro), five nieces, three nephews, and four great nieces. A memorial service will be held 2:00 PM Tuesday May 29, 2018 at Lewis and Glenn Funeral Home.